Designed to function without any water, Britex Barren waterfree urinals are a great way to conserve water. 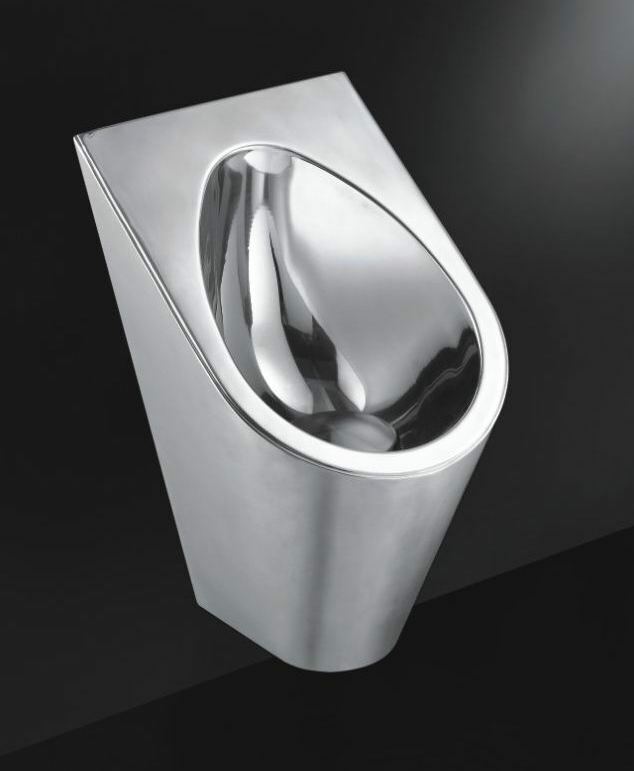 Providing further benefits to the environment, the Barren waterfree urinal is manufactured from 100 recycled stainless steel. Britex Barren stainless steel waterfree urinals ensure maximum resistance to vandalism and ensure a long life span in public installations where replacing damaged products would otherwise be commonplace - therefore providing unparalleled value for money over an extended period. Maintenance costs are also a thing of the past for this unique waterfree urinal. Unlike other waterfree urinals that require periodic maintenance and the replacement of cartridges or sealant fluids, the Barren waterfree urinal utilises a 'one-way' valve. After urine has flowed through the valve, it closes up and traps all odour within the plumbing. The only 'maintenance' Britex recommends is the occasional squirt of fresh water or disinfectant over the urinal surface, just like any other bathroom sanitary fixture. Britex Barren stainless steel waterfree urinals are widely used in public toilets, shopping centres, night clubs, bars, sports facilities and schools. Extensively tested and approved by Australian Standards for WaterMark™ as both a waterfree urinal (Barren) and automated, self-cleaning urinal (Barren Auto-Clean), the Britex Barren range is the ultimate cost-effective, environmentally friendly and stylish sanitary solution.